Online since 1995, BonjourParis.com was one of the first websites dedicated to publishing France-related travel content. 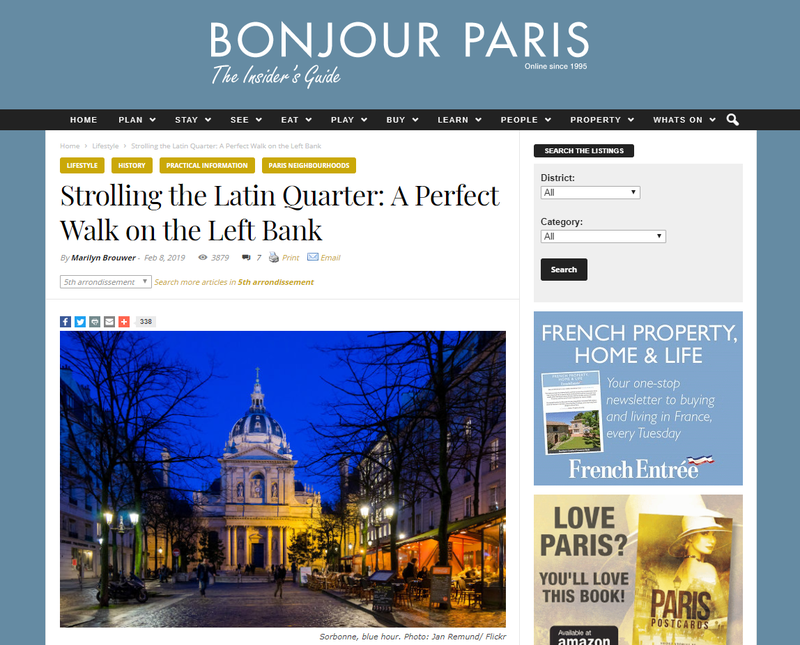 It has become the leading go-to information site for travellers seeking practical and entertaining content about Paris. We publish original stories daily, with advice and suggestions from Paris based experts, authors and fellow travellers who have been there, done that, and enjoy sharing their views. Our readers are passionate about Paris and true Francophiles. BonjourParis.com is one of the most highly-trafficked English language sites focused exclusively on Paris travel, culture and lifestyle stories. Whether you’re packing for or planning a trip to Paris, our mission is to deliver content that adds a little “joie de vivre” to your daily life.